In this very special episode of Just The Tip, Amy and Paul discuss awkward interactions. This episode features another listener-submitted theme courtesy of friend-of-the-show Theme Song Todd. Mike Doughty’s current tour, including private on-bus concerts. Bobby Slayton, “The Pit Bull of Comedy”. On opting out of the TSA’s nudie cancer scans. 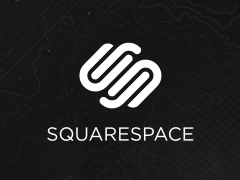 Squarespace: Their all-in-one platform makes it fast and easy to create your own professional website or online portfolio. Sign up for a free 14-day trial without even needing a credit card. After that, sign up for as little as $8 a month. Even better, use our offer code TIP8 to save 10%.